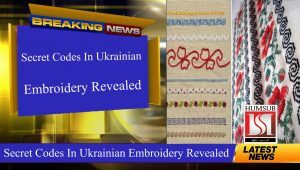 Secret Codes In Ukrainian Embroidery Revealed: What are those mysterious sacred geometrical designs hidden in our grandmother’s treasure chest? They are not just circles, lozenges, branches and spirals. These figures were created centuries ago and represent many unique symbols. This was at a time when our ancestors had a close magical connection with the world of Nature: plants, animals, fields and heavenly bodies. 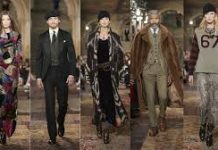 They drew their destiny using symbols of the Sun, Earth, Universe and Family, reproducing them on fabrics, creating mysterious ancestral symbols as amulets, as a kind of family code. Researchers say that in ancient times embroidery was a ritual that was carried out on particular days. Master embroiderers could not sit down to work unless their thoughts were pure and bright, their energy positive and creative. 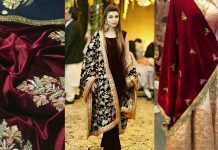 It is interesting to note that embroiderers did not copy other people’s patterns. Their work was very individual. Each woman had her own “language of decorative writing”, where through colours, lines and patterns she created a unique object, coded for good fortune for herself and her loved ones. Copying another person’s pattern meant taking over someone else’s life and destiny. Embroidery was not considered work or study, but magic and mystery, a way of conveying one’s disposition and inner energy by coding signs and symbols on fabrics. It is truly amazing when we look at the etymology of the word “vyshyvka”, derived from “vyshniy” (divine/heavenly) and translated into Greek as “cosmos”. Delicate female hands have transferred these sacred codes onto white linen since days of yore, from generation to generation to the present, so reproducing and preserving the sacred powers of the family, the energy of nature and the divine origin of man and nature. The Ukrainian embroidered shirt is revered and respected for these very reasons, worn proudly during feasts, celebrations… and at all times. Circles: A circle with a dot in the middle portrays the centre of the universe; in Ukrainian symbolism, it is also a symbol of the Sun. The circle is a symbol of divine purity worn as a wreath by the bride. The circle is the Sun surrounded by bright rays diverging outwards that bestow strength and energy. Squares: The square also stands for Number 4, which Ukrainians recognize as the symbol for the primary elements: the four cardinal points, the seasons, life cycles, parts of the day. In Ukrainian traditions, the Earth is often portrayed as a square. Tree of Life: In Ukrainian embroidery this symbol can be recognized not only in the branches (they can be either symmetrical or asymmetrical), but also in wheat stalks, sheafs, twigs or vines. The tree of life holds the truth and unity of the three worlds and reflects the image of life and the family. Diamonds: A lozenge with a dot in the middle symbolizes a sown field, which was extremely important for our ancestors. It meant abundance and prosperity. Triangles: The meeting/touching point symbolizes the place of transition from one world to another. Sometimes, there is a line between the triangles. It is called the “Ring of Great Light”, which symbolizes a mirror where one world is reflected in another and vice versa. Dance Lines: This motif is called the “winding dance” as it is closely connected with the ritual dance that Ukrainian girls traditionally perform in spring, charging the Earth with their graceful movements.